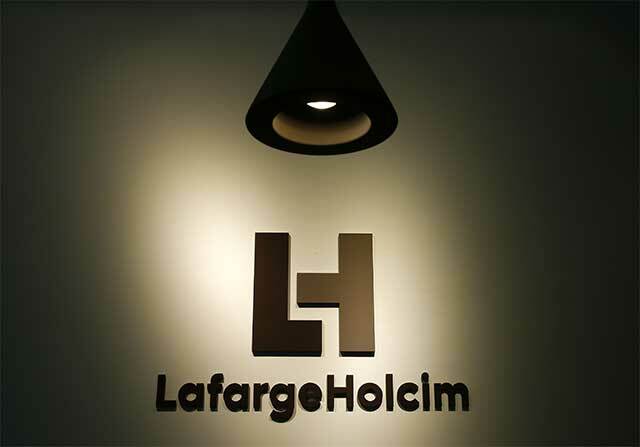 LafargeHolcim Ltd said on Monday it has agreed to sell Lafarge India Pvt Ltd to Nirma Ltd for $1.4 billion (Rs 9,400 crore) including debt, in a deal that will complete the India leg of the global merger of French cement giant Lafarge and Swiss building materials group Holcim. The proceeds from the divestment will be used to reduce debt, the world's biggest cement maker said in a statement. The deal is subject to approval by the Competition Commission of India (CCI), it added. The deal is part of the company's 3.5 billion Swiss franc ($3.6 billion) divestment programme and is essential for completing the global merger announced last year between Lafarge and Holcim. “With this deal, two thirds of the program has been secured and the remainder of the program is well on track," said LafargeHolcim CEO Eric Olsen. "We are confident that we will meet our target by the end of this year." Lafarge India operates three cement plants and two grinding stations with a total capacity of around 11 million tonnes per annum. It also makes ready-mix concrete. LafargeHolcim will continue to operate in India through its subsidiaries ACC Ltd and Ambuja Cements Ltd with a combined cement capacity of about 60 million tonnes. The ACC-Ambuja combine will be the second-largest cement maker in India after UltraTech Cement Ltd completes a $2.4 billion deal to acquire two-thirds of Jaiprakash Associates Ltd's cement business. UltraTech will have a capacity of about 90 million tonnes after its deal completes. Ahmedabad-based Nirma is best known for making soaps and detergents, though it also makes industrial goods such as soda ash, cement and packaging products. It trumped companies such as the Piramal Group and JSW Group and a couple of foreign companies and private equity firms to clinch the deal. Founded by Karsanbhai Patel, Nirma has 12 manufacturing facilities in India and the US. The company had sales of about $1.1 billion in the year through March 2016. LafargeHolcim had been trying to sell Lafarge India for the past year after the CCI, in April 2015, asked the company to divest some assets to complete the global merger. In August last year, Lafarge India struck a deal with Birla Corp to sell its cement plants at Jojobera in Jharkhand and Sonadih in Chhattisgarh for an enterprise value of Rs 5,000 crore. The two plants have a total capacity of 5.1 million tonnes. The deal, however, fell through as it was contingent on transfer of mining rights, which wasn't permitted under India law at the time. LafargeHolcim then proposed an alternative plan. In February, it received a revised order from the CCI to offload its stake in Lafarge’s India operations. This CCI order was challenged by Dalmia Cement (Bharat) Ltd in the Competition Appellate Tribunal, which stayed regulator's ruling. Dalmia later withdrew its petition.